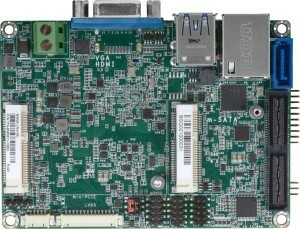 Home/LInux, New Products, System on Module/Do we really need standard pinouts for ARM modules? 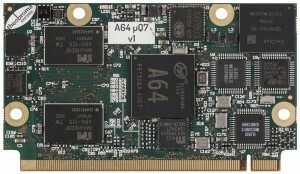 Our recently-announced quad-core ARM Cortex-A7 module, the A31-uQ7 is based on a standard Qseven pinout – something we’ve not felt necessary over the last 15 years of pioneering the system-on-module market. So has something changed? While standard pinouts find good use in the x86 world, there have been 3 reasons why they are less prevalent on ARM-based boards. 1. Industrial ARM SoCs, unlike x86 processors, tend to have a production longevity of 10 years or more, so you don’t need the insulation of a standard pinout. 3. There are so many, diverse interfaces available across the range of ARM SoCs, that no pinout could do justice to them all. These points continue to be valid, but there are important situations where they don’t hold. While industrial ARM SoCs may offer considerable longevity, there are now consumer ARM SoCs, such as those used in tablets and phones, where this aspect may not be so cut and dried. We now live in a world where stable Linux distributions, such as Debian, are to all intents and purposes hardware independent, just like Windows. And diversity of interfaces is a great thing for 20% of projects, but 80% can be satisfied by some permutation of RS-232, USB, Gigabit Ethernet, SDCard, CANbus, I2C, SPI and Audio. The obvious advantage of a consumer SoC is a higher level of price/performance, and there are less obvious advantages such as improved performance/W. So it’s horses for courses, but we do expect the A31-uQ7’s quad-core performance at a dual-core price, and complete Debian 8 implementation to be a head-turner. Hi Alec. There is no published guarantee – mainly because Allwinner is a fabless company, it’s up to their licensees to make the SoCs. That said there is enough history to predict with a degree of certainty that there will be availability for at least 5 years (probably at least 10) for a processor which makes it into numerous consumer designs like the A31. It’s the combination of the standard pinout with Debian Linux which should give you security in the rather unlikely event of future unavailability. Look on this solution as a middle ground between the more expensive but cast-iron guaranteed 10-15 year life of products which are industrial to the core (like our TRITON-TX series), and designing in a Raspberry Pi, which may be super-cheap, but where you will potentially have to adapt to supply problems and numerous changes of hardware and software throughout the product lifecycle. If you accept what you’re getting into all these solutions are fine. 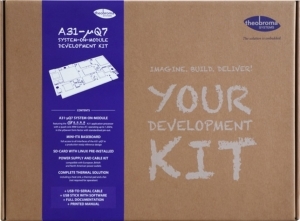 I think the A31-uQ7 (and look out for the next module in the series next month) is an excellent compromise between longegity and cost, especially for higher volume projects.